I prefer sailing my canoe to my new Mirror dinghy. Thread: I prefer sailing my canoe to my new Mirror dinghy. Maybe its because I learnt to sail in my canoe, but I just can't seem to warm to my recently acquired Mirror dinghy. I think its the simplicity of the canoe that appeals to me really. When I use the Mirror it seems there's a lot more to be done, especially when tacking, what with there being two sails to control instead of one. The other big difference between the two boats is that there's far less leaping around from side to side when you sail a canoe. You can move the mast forward to the front step and sail the mirror with just one sail. If its a bit lumpy, I preffer my saiing dinghy, but if its flat, canoe every time. Canoe is just soo much easier to transport, launch, retrieve...The whole bit. 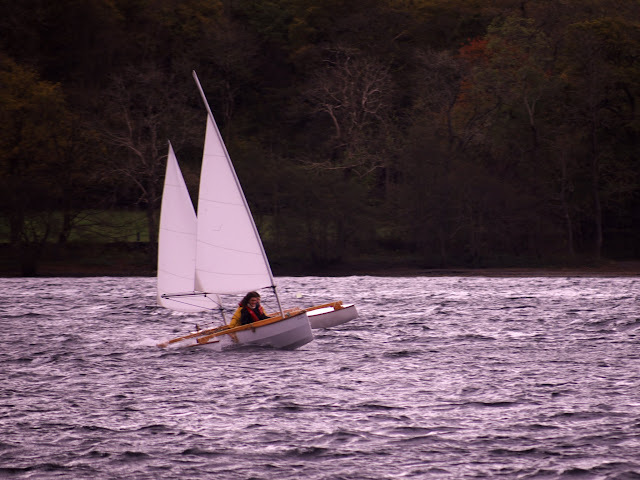 That was at the OCSG meet at Coniston last year... in conditions where even sailing a bathtub would have been a hoot if you didn't mind getting wet... but that pair were hoping to stay scratched-side-down and once across the lake and back was enough for that pair: they headed ashore to await calmer conditions! Ah, the Mirror dinghy. I have fond memories of sailing one of these with school in the 6th form, and my mate BJ and I trying to see how close we could get the gunwhales to the water, whilst sailing blindly along just above the weir at the end of King's Mill Res near Mansfield. We got a right telling off from the teacher. It was fun though. I only ever did a term of sailing, I think, it was very rare to be offered such a chance instead of PE at a pit town Comprehensive School. And that was it for watersports for me, until I was nearly 40! If you already have experience of canoes when you learn to sail, then sailing a canoe will seem more natural. Where as any other boat will be harder to get used to. I learnt to sail in a Mirror, and then years later started canoeing, and when I eventually tried canoe sailing it did take some getting used to because it is a different experience, far less options to move about and trim the canoe for a start. So maybe you just need more time in the Mirror. Mal, did you really have a friend called BJ, and if so how did he survive all the taunts that a group of teenage boys would have thrown at him. It was obviously a more innocent time, as I don't remember it being an issue - Brian James was his name. He ended up flying Tornados for the RAF as a Navigator I believe, which was his dream, and I've sometimes wondered if he kept the nickname in the forces! What fun these sailing threads are. I've owned five Mirrors, at different times, still got one for grand daughters. 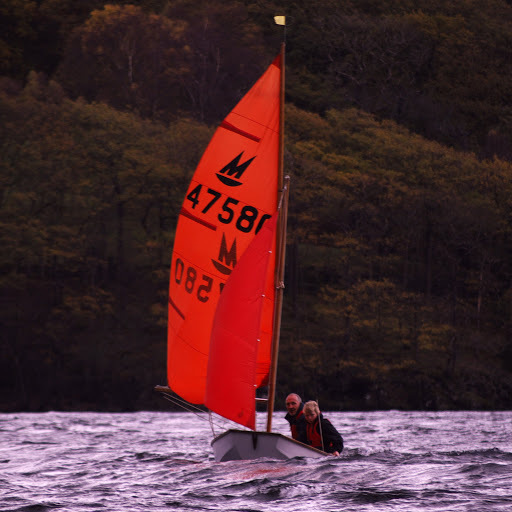 We sailed two Mirrors, two adults, three children in force 4-5 quite big waves, and driving rain from Coniston Sailing Club to "Wildcat Island", and had a super time, planing all the way back. Sailing, or paddling, the trip would not have been as much fun, especially for the kids, in canoes. 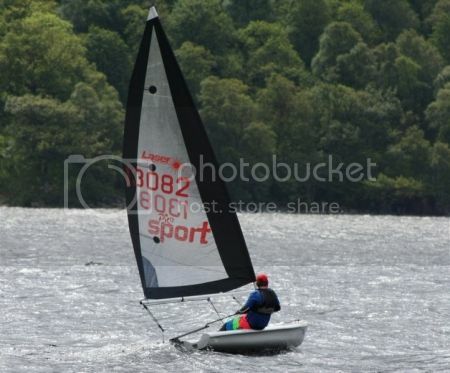 Also I'm pleased to see another trimaran photo Greg, on a Ketch. All this relates to the "Puddle" thread on going at present. But I do understand the argument, bound to be made by someone along soon, about versitility. Of course you can row a Mirror, although, as a means of transport it does have the downer of only seeing where you've come from. Peter - one day I may get my head around what led to the Mirror dinghy being viewed with such affection in the UK.. but at best we seem to be looking at a remarkable triumph of romance and nostalgia over good judgement... and at worst, I can only think there's a deeply ingrained sadistic streak in some boating circles... a desire to see folk suffer a rite of passage in the sailing equivalent of a Lada. My school club had access to 2-3 Wayfarers, but I tried to avoid those as they always stuffed 4-5 kids in each one. The two Otters we had access to were about as uninspiring to sail as a Mirror. The one that got me thinking that sailing might actually be more interesting than a walk around the reservoir was a leaky old Lark: not exactly lively, but a step in the direction of the lovely looking Fireballs, 505s and the rest that we wandered past and dreamed about each week.... and which none of us ever did get to sail. If I could paddle and sail canoes like you can,who knows what I would do. Sailing is not for everyone, and my three kids, who could sail before they could paddle, preferred the kayaks that they each got when they could swim two lengths of the pool without touching the end, and spray decks when they could capsize and get themselves out of the boat, to the Mirror. Until the eldest went to senior school and found he was a star at the school sailing club if he could actually sail. At a stroke I went from the selfish old git to the indulgent parent!! However, having been one of the test pilots for the prototype Mirrors, (the Publicity guy from the Mirror newspaper who over saw the launch belonged to my club and I was Cadet Captain at the time) I've always likes them. They are particularly suited to sub 12 year old kids, who can handle them in all weather. I'm not a fan of the new glass hulled, bermudian rigged pseudo Mirrors which now make up the majority of the squadies boats. Living where you do, the Kestral should give you plenty of enjoyment. 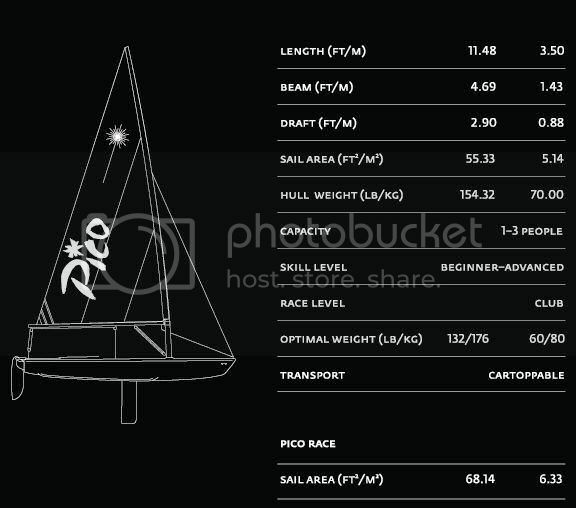 And, of course, I've owned lots of high performance dinghies, including 5 5o5s! Fredster, I understand your preference for the canoe, the effortless glide of the narrow canoe hull with a tiny sail is so much more appealing than the sensation of a n unwieldy dinghy being forced through the water by it's (relatively) large rig. 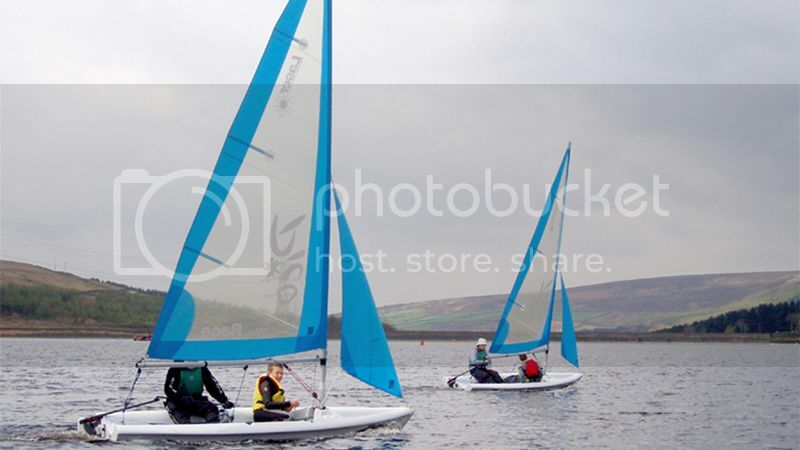 I too pondered buying a Wayfarer as a cruising dinghy (I have no interest in racing but if I did I acknowledge that a modern skiff would be the right tool for that particular job). I'm so pleased that I didn't get the Wayfarer, for solo cruising a canoe is so much better at the job. Arf! That I'm not! What is amazing is just how many of the damn things there are. Since having mine and getting my eye in, so to speak, I've spotted them in just about every quayside boatyard I've walked past. According to interweb there were 70,000 made - mine is no 19644, I know a guy who has no 00030! I greatly enjoyed this book about an unlikely and initially unintended voyage from mid Wales to the Black Sea in a Mirror. Wish I could remember who I lent it to. I know two Dinghy Cruising Association member who cruise in Mirrors. Sleep on board too. I suspect affection for Mirrors, or not, depends on some combination of; sailing them earlier in life; whether one's motive for sailing is centred around pottering or day sailing or cruising, or sailing for sailing's sake or for adrenaline, or what just feels right. For me, it's more about the journey than the sailing/paddling or the boat. If Mirror sailing doesn't grab you ....... sell it and buy a new drysuit and maybe any sailing canoe stuff you may need? Last edited by GavinM; 2nd-October-2012 at 10:14 PM. the Mirror was named after the mirrir news paper, ther was a compatition to design and bild a sailing dingy big enough for a man and his son to sail , be bilt in a garage and rooftoped on a Morric Minor , ther are thosands world wide and stil being bilt , one of the grate boats of out time . anuther interesting point , all the spase and mast can be broken down to fit into the boat, for eas of rooftopping ! I still make up about one new set of sails for mirrors every year or too. The Enterprise fits somewhere in between the two. Small enough to be sailed single handed, plenty of sail area to be tippy and a streamlined shape to sail nicely rather than be forced through the water. The only downside like most dinghies is that they are too heavy to carry and need a slip way to launch from, but you can pick up a nice second hand one for between £500 & £1000. I have always considered the Wayfarer to be a family boat and the Mirror to be the starter boat. Of course the new lightweight Laser Pico's are quite comparable in that they only weigh 80kgs (Rigged) and are car-topable. The Pico Race has 68 sqr ft of sail area and a new price tag of only £2550 including VAT, so they offer many of the pros of a sailing canoe. As a Mirror owner I have to agree with what Greg said about the Mirror . However,(at 6ft2'' ,200lbs and a gammy leg ) I do find the Mirror more comfortable than the Laser Pico . The beauty of the Mirror is that it is a stable bobbing cork of a boat,made of wood and you can modify it to your hearts content( ''Keeping it in class'' hinders development.) . Last edited by andre; 5th-October-2012 at 12:07 AM. Sailed the Mirror on Sunday in light winds (F2) with a crew ,so did not test stone ballast. It really was a joy to sail,being able to sit upright and not look out for a boom smacking one on the head . Was going out later today,but the IOS sailing club webcam/weather report showed F4 . http://www.iossc.org.uk/weather/ and Whitstable Marine showed likewise http://www.whitstablemarine.co.uk/weather.asp so have given a miss. Last edited by andre; 9th-October-2012 at 01:29 PM.